Anyone of a certain age remembers the CD sellers like BMG and Columbia House. These magical places sent you 12 CDs for the price of 1. What a deal, right?! 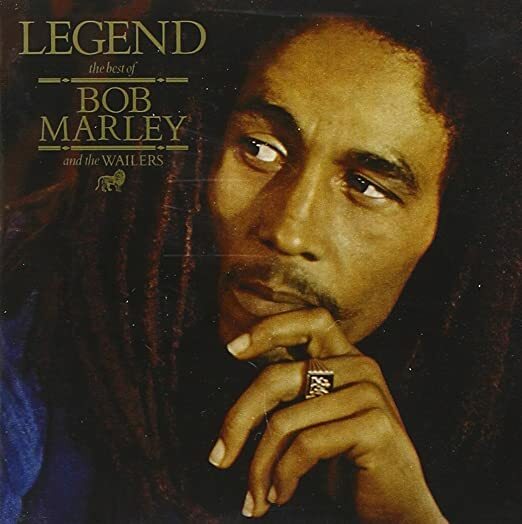 “Legend” by Bob Marley & the Wailers was one of the first CDs I owned. I’ll save the rest of that list of 13 for another post. I will say, I’ve never really pinpointed my love of ska. I always just assumed it was because of the horns. But I realize that it was probably from that first time I heard Bob Marley and the Wailers at the tender age of 12. It was just good music. I knew that before I knew why it was. Happy, comfortable, and groovy. I related to songs like “Waiting In Vain” that told the story of my interest in girls and their lack thereof in me (I was a chubby kid in junior high). On the flip side, songs like “Three Little Birds” reassured you that everything was going to be alright. My favorite track was and still is “No Woman, No Cry”. I don’t really know why, to be honest. Maybe because it is pretty different from the studio version. Maybe it is the crowd singing along. Maybe it is because of the feedback on the live track, letting me hear even professionals make mistakes. Regardless, this record is definitely an influence of mine. And holds a pretty special place for me. Let me know in the comments what your favorite Throwback Thursday record is and why.